When sixteen-year-old Jace Alexander moves to the small town of Oaktree, Georgia, he attracts the attention of every girl in school. Shy, introverted Alisa Cole immediately casts Jace in the leading role of her latest fantasy, but she assumes he’ll never return her interest. After she saves Jace from a Hunter, everything changes. Her accidental discovery of Jace’s secret propels her into a world of magic and danger. Alisa’s newfound courage is put to the test when Jace introduces her to his intimidating older brother, Bryce, and she decides she would rather battle a Hunter than endure another moment under Bryce’s intense scrutiny. Rachel Stevens is the girl who has it all. She’s beautiful, popular, and in possession of an ancient power which endangers not only her, but those sent to protect her. Jace is drawn to Rachel—and he isn’t the only one. The Demon Re’Vel will do anything to claim her—even if it means waging a war with the entire Alexander family. As layers of secrets are peeled away, revealing the truth of her heritage and her family’s betrayal, Rachel struggles to resist an immortal suitor who stalks her in her dreams. 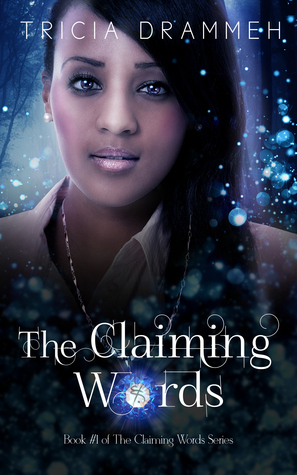 With the Alexanders fighting to protect her, can Rachel escape the power of the Demon and his Claiming Words?